When Jo Martorella first graduated with a QUT teaching degree in 1979, she never imagined she’d be Foundational Principal of a new state-of-the-art school in Darwin almost 40 years later. After finishing her undergraduate degree, Jo taught in Townsville and the Cairns district for over 33 years, including various roles as curriculum coordinator and Assistant Principal. Like most teachers, Jo’s career was rewarding and enjoyable. “I believe that teaching is the greatest privilege and we can make a difference to every child by teaching them to love learning,” said Jo. When Jo was appointed Assistant Principal Administration at Holy Cross School in Cairns in 2014, she discovered a new passion and purpose in her career to be an educational leader. Jo chose to take on a Master of Education in Leadership and Management at QUT to equip her with the leadership skills she needed to pursue her new ambition. In 2016, she was appointed Acting Principal at a small rural school south of Innisfail. “By then I felt confident that I had much to offer as a principal,” said Jo. When the position of Foundational Principal at Mother Teresa Catholic Primary School in Darwin was advertised, Jo was excited by the possibilities of starting a school from scratch and ready for the challenge. “I felt through my extensive teaching experience and my QUT studies that I had the knowledge, experience and energy to take on this role,” said Jo. As Foundational Principal, Jo has led the direction of the school’s vision, mission, staff, curriculum, facilities, resources and student intake. She also emphasised the practical and real-world learnings from her Master of Education course, which gave her the advantage she needed to succeed in establishing the school. “The course was so practical and related to every aspect of being a principal. It allowed me to keep up to date with current practices, explore my leadership style, and develop a strategic plan. I enjoyed every subject. The lecturers were amazing and so supportive. I did not feel like I was just another number,” she explained. A self-confessed life-long learner, Jo is looking forward to continually improving her professional capabilities to develop her leadership skills. Find out more about studying a Master of Education at QUT. 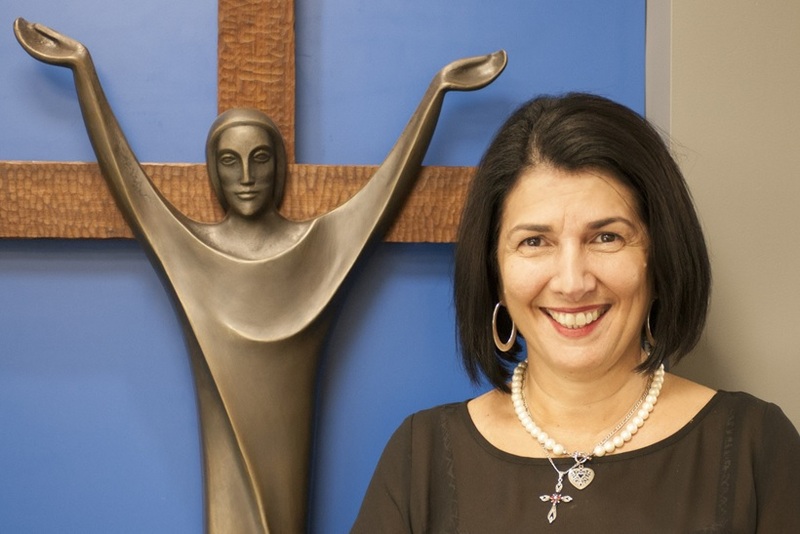 Jo Martorella is a QUT Master of Education (Leadership and Management) graduate and Foundational Principal of Mother Teresa Catholic Primary School in Darwin.